President Maithripala Sirisena has appointed politician turned businessman – A.S.P. Liyanage as the ambassador to Qatar, reports say. He has been appointed as the ambassador on Dec. 31, we learn. Speaking to Reporters,Mr. Liyanage verified the report. 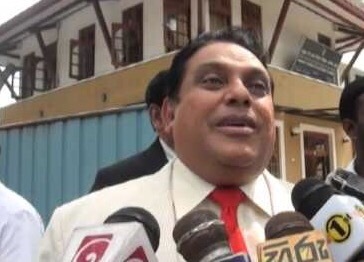 Anura Liyanage (known as A.S.P Liyanage) is the former Sri Lankan High Commissioner to Nigeria.He is also a Sri Lankan Businessman, the chairman and managing director of the ASP Group, a private real estate group established in 1989. He is standing in the Sri Lankan presidential election, 2010 and Sri Lankan presidential election, 2015 for the Sri Lanka Labour Party. Liyanage received his education at Nalanda College Colombo. He has two daughters. As Sri Lanka Labour Party Presidential candidate A. S. P. Liyanage, he is also known to be a leading businessman in Sri Lanka. He took part in the Sri Lanka Presidential election in 2010 and became the third in Colombo. He also conducts the most popular Sri Lankan celebrity TV program known as ” A.S.P Paduru Partiya” which telecasts in TNL on every Sunday at 9:35PM and the repeat is shown on Sunday at 2PM on TNL.